THIS SHARK IS DEFINITELY REAL. BELIEVE IT. .....troy swims with these big ones! you brave man you. sharks and I are incredibly similar. Love you. hate and love sharks. 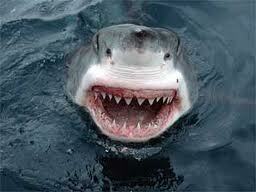 Shark week scares me this year, seeing as I really could get eaten this summer. No more night swimming after looking at those pictures. Well, WE are the real threat to these animals. 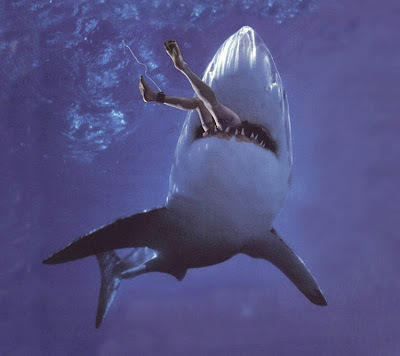 According to wikipedia, 100 million sharks are killed by humans every year, while less than 100 shark attacks are reported, only a handful of which are fatal. 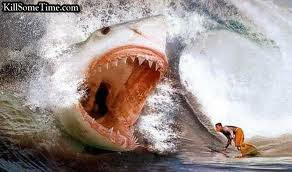 Those sharks are scary.... 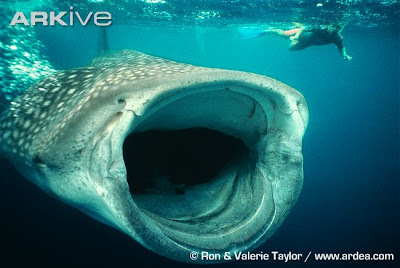 But I love the whale shark!